This system connects your hardware to the android device. A dht11 sensor is used with arduino uno to sense temperature and humidity of the environment. It sends the value to your android device which is neatly displayed in the app. This system is very easy to build and is useful for real time monitoring off a remote room with an amazing display. 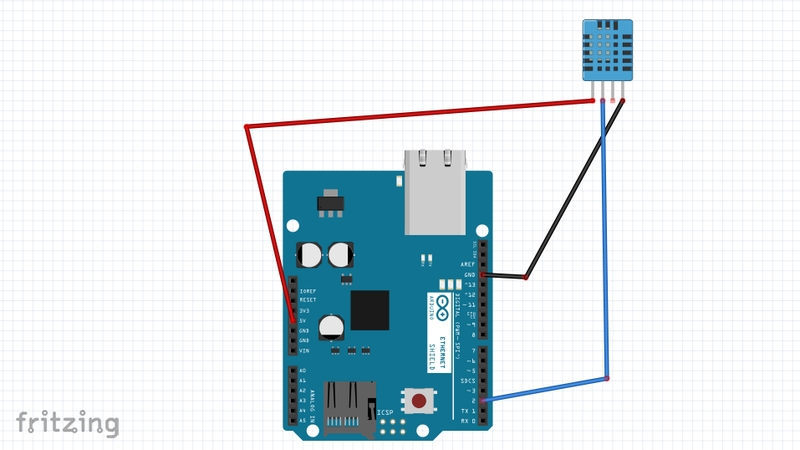 The sensor is connected to the digital pin 2 of the arduino. Virtual display is created on the app to display the values. The display is updated in real time.